Offering you a complete choice of products which include resin reactors, reactors, chemical reactors and chemical reactor. 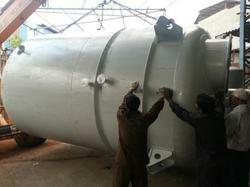 Our clients can avail from us superior quality Industrial Reactors. The offered range is available in several designs including electrical, hot oil and steam heated. Owing to this, our range is extensively used in various industries like chemical industries, food and others. High quality stainless & mild steel, hastelloy, titanium and nickel are used to manufacture these products. Note -Cost Varies According To The Capacity. 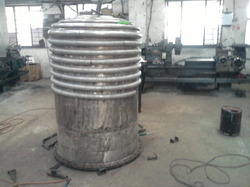 We are the stalwarts in manufacturing, supplying and trading a vast array of Limpeted Reactors. High grade material that is sourced from renowned vendors of market is used in the manufacturing process. All our products are widely used in various industries like medical, building material, chemical, paint, resin and food. We are a preeminent organization that manufactures, supplies and trades a vast spectrum of Chemical Reactors. Available in various specifications, these products are extensively used in chemical and pharmaceutical industries. The offered range is manufactured using premium quality material following standards and norms of the industry. 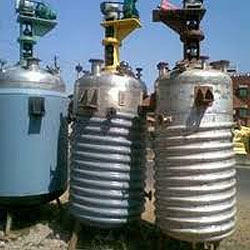 Due to our expertise in the industry, we offer a wide range of Chemical Reactors. Our products offered are fabricated by using high quality mild & stainless steel, procured from reliable sources. This range is adored by users, owing to its better quality, technically advanced construction, high performance, rust proof feature and corrosion resistance.